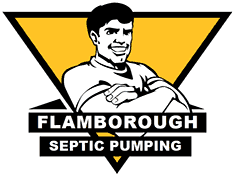 Flamborough Septic has over 50 years of experience and the best technology to provide the most affordable and efficient septic tank pumping and maintenance service. Along with our tank pumping services, we are well known for accommodating our customers in emergency situations. Whether you’re a residential or commercial septic tank owner, we can provide emergency septic tank services in Flamborough and surrounding areas. Flamborough Septic also provides complete septic tank inspections, which goes hand in hand with the pumping and maintenance services.